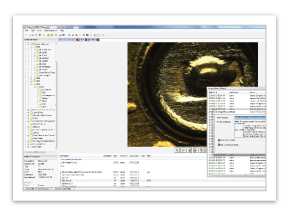 GunWorks Workflow Module combines the Firearms and Toolmarks analysis processes into one consistent, manageable, electronic workflow. 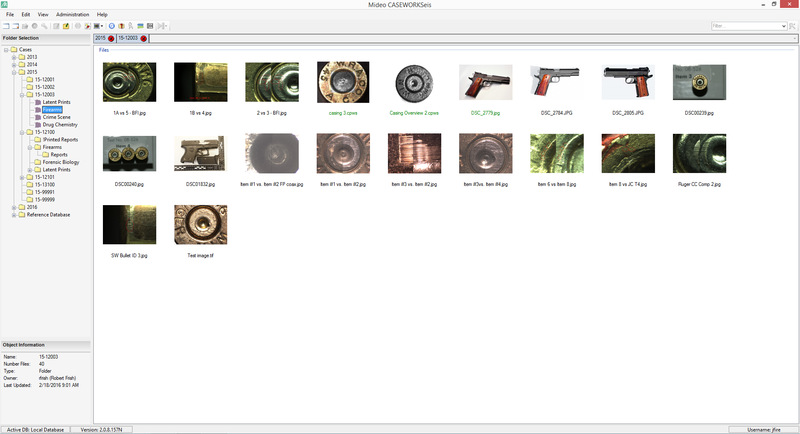 GunWorks Workflow features include: Contemporaneous Documentation, Meets ISO/SWGGUN Guidelines, Automated Case notes, Automated Reporting, Peer Verification/Review, Interfaces to LIMS and RMS, Promotes Consistent Terminology, Efficiently Manages Firearms and Toolmarks Cases and Supports Best Practices. 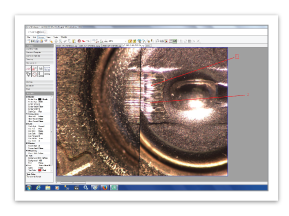 CaseWorks eis GunWorks Workflow Module combines the Firearms and Toolmarks analysis processes into one consistent, manageable, electronic workflow. This module addresses the need to gather and track all evidence analysis information from a case, link evidence together within a case, establish relationships to evidence from other cases, control the movement of the case through the agency from open to close. New documentation standards make it critical for all examiners to refine the process of how their work is accessed, processed, communicated and documented throughout the department. CaseWorks eis is a secure database with flexible user access and powerful security controls. CaseWorks eis meets forensic and legal requirements and guidelines for testimony in court. 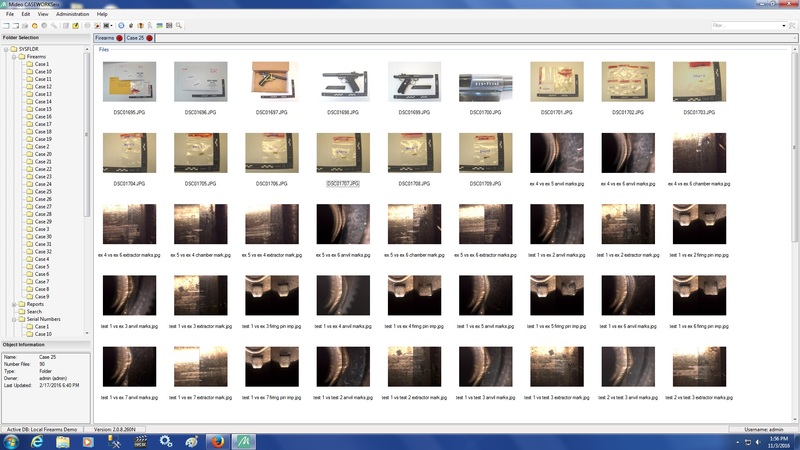 Original images, once entered into the system, cannot be altered. All enhancements and markups are automatically saved as overlay versions of the original image and users can access any version as desired. CaseWorks eis also facilitates blind verification, conflict resolution and multi-agency review/verification. 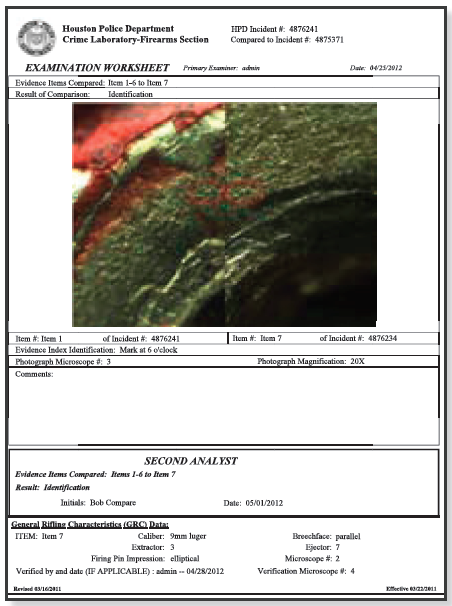 CaseWorks provides a group of specialized tools and features specifically for Firearms and Toolmarks documentation and comparative analysis. This provides a systematic structure which automates the natural steps in the workflow process. 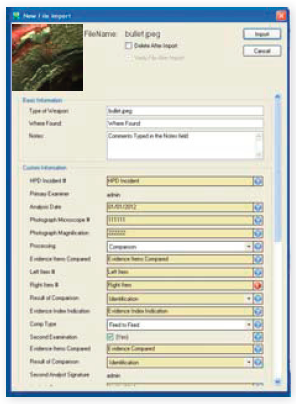 CaseWorks promotes consistent imaging workflow policies and procedures. 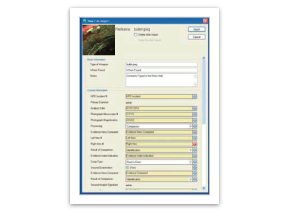 CaseWorks eis’ reporting engine allows users to create multiple custom reports, displaying any configuration of data tracked in the database. 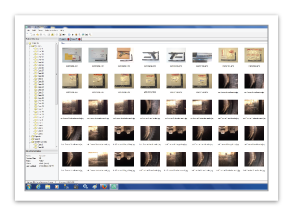 Using the workspace users can create powerful court exhibits and storyboards for clear communication of their findings. CaseWorks eis has built-in mail and request services which allows for simple and effective task management and case assignment. Files or folders can be attached to a message, as “links” to the actual files in the database, taking up very little database space. Security is always enforced for these attachments. 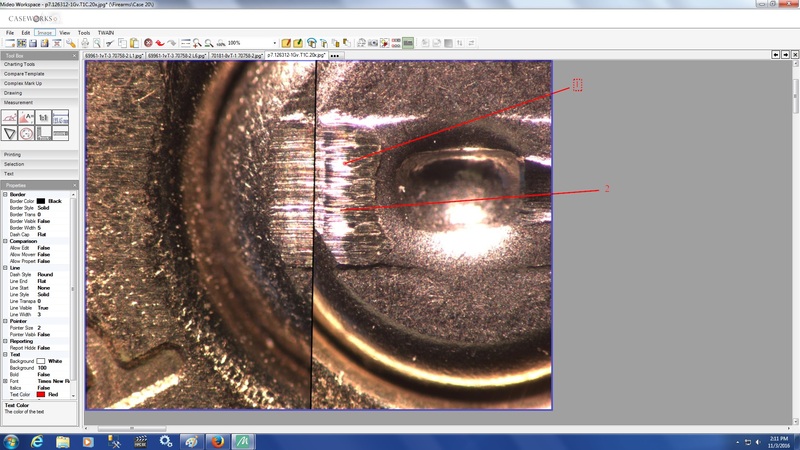 Currently there is a consensus that a better model for processing and documenting Firearms and Toolmarks comparison is not only desirable but necessary. 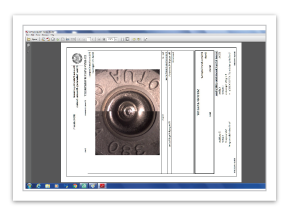 SWGGUN recommends documentation concurrent with the examination and recognizes an electronic system record as the Case Record. 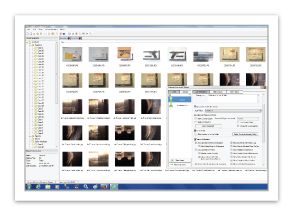 CaseWorksEIS supports real time, simultaneous documentation of the analysis process and allows for the interactive annotation of images and auto generation of case notes and final reports with narratives. 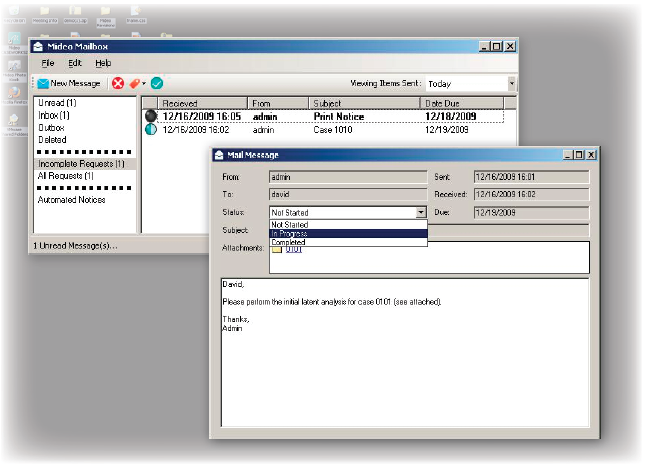 Electronic file folders can be part of the case record in an agency SOPs. The data field sets, case notes, reports analysis documentation and markups all become part of the case record. Schedule an online demonstration to learn more about GunWorks Workflow!